In many ways that timespan is arbitrary; yet, it still hits me hard emotionally. It’s been five years since my accident and I still think about it everyday, how I’m different, or the same, what I need to do to improve, what I need to accept as inevitable. A lot has happened in my life since February 7th 2013. I switched jobs, twice, Anne-Marie and I now have a dog, and a child, and we moved into a new house. But the days still drift along as a single sequence of time since waking up from the coma. Today is largely a tough one, not because of failure, but because of success. Now that I work at Autoweek, it feels like the full affirmation of what I dreamed of returning to at Road & Track. Life is full of new cars, interesting trips, fascinating people and writing. Yes, me, the engineer, Mr. Spreadsheet, writing articles that people read and some even like. And that is exactly why today is tough. I fully realized that bizarre thing I was chasing at Ventura County Medical Center (VCMC), then at Craig Hospital, and I’m still sad! WTF! That means that it’s is NOT my situation, it is me that must be fixed. And I don’t know how to fix it. My entire life, I’ve always had an internal checklist that I sought to check off. As long as I checked items off, or at least worked towards it, I felt satisfied that I was moving in the right direction and doing the right thing. Today, looking back shows a lot of checked off items that should lead to a strong sense of contentment. But, no. So, I’m broken. And, I don’t presently have an item to chase that I think will set things right. But maybe that’s not true. As I write this I can see that I have ignored some categories of checklist items. Perhaps it’s time to broaden my spectrum and look beyond professional life as the key to happiness. And by that I do not mean things with family, Anne-Marie is fantastic, as always, I mean me. Take better care of myself, my physical and mental health. Ha! My mental health, you’d think that would be a higher priority given origin of this whole bloody thing. It’s harder to keep things objective, to not let fear and worry build up as my mind races through fifty different worst-case scenarios, but that’s exactly what I need to do. Slow down. Think. Great things are still possible and maybe, just maybe, happiness is too. Three years ago today, I was dead. It only lasted a couple of minutes. But, technically speaking, as I laid totally unresponsive on a gurney in a helicopter flying towards Ventura County Medical Center (VCMC), I was clinically dead. Fortunately, my heart continued to pump oxygenated blood through its assigned veins while expert, trained, experienced, and all-around brilliant doctors awaited my arrival. They immediately went to work stitching me back together. That act began a several month process of hospitals, therapists, surgeries, more therapists, additional surgeries, and the realization that I have an incredible family and the most committed, steadfast loving wife in the world. I fell off a bridge. 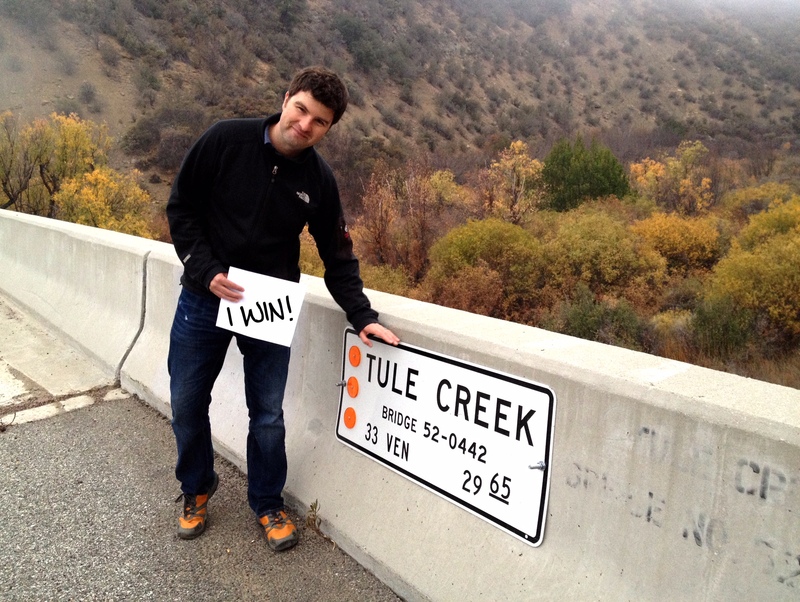 I fell, inexplicably, from a simple two-lane car bridge over Tule Creek in the canyons west of Los Angeles, California, on Highway 33. I fell 38 feet, through cracking trees limbs and clear thin air, and landed in a rocky stream fed by ice melt flowing from a nearby peak. I hit my head very, very hard. No one witnessed the fall. And I have no memory of it. Fifteen minutes later my colleagues began looking for me, wondering where I wandered off. And 15 minutes after that, they frantically pulled me from the stream and dialed 911. One hour later I landed at VCMC. 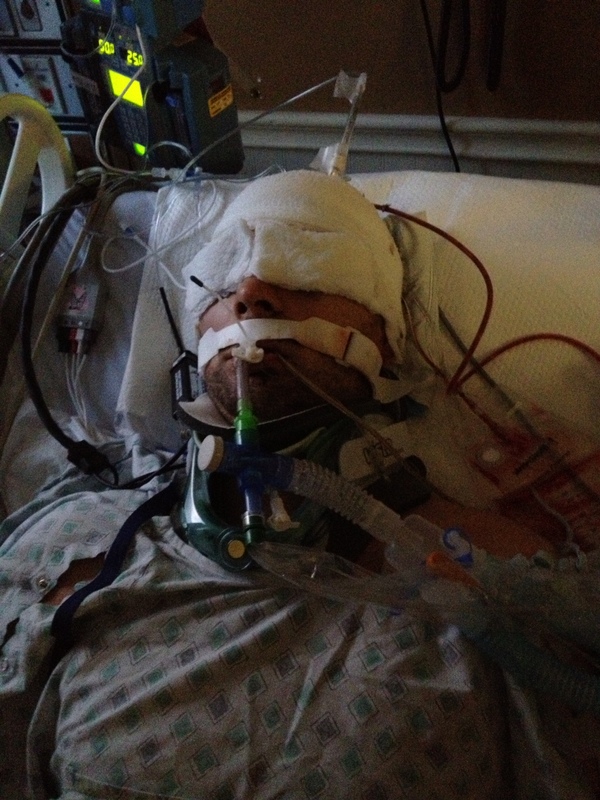 Two weeks later I awoke from an induced coma surrounded by my family. Two months after that, I slept in my own bed for the very first time since the accident. It was so comfortable. More months later came my last regular outpatient appointment, and I returned to work full time. Then new appointments started. But this all started three years ago. Why write about it now? I felt compelled to write sooner, certainly. Procrastination played a role, admittedly. So did life. Regardless of anything and everything, life soldiers on. It doesn’t speed up, or slow down, but continues in a lock-step march from one moment to the next. And you learn a thing or two about life when you come incredibly close to losing it. Much happened these past three years, some of it worth writing about. So this milestone seemed as good a time as any to start sharing thoughts, memories, and lessons learned. To bring folks along my journey, show them a less common view of the world. I plan to write about what happened, and what is happening, through a lens rarely brought to light. I suffered a major Traumatic Brain Injury and, largely, recovered. If my example can help anyone else in a bind, then I am happy. I’d like to start by sharing an article I wrote about my injuries and recovery after learning of Michael Schumacher and his terrible head-trauma accident, which happened the 29th of December 2013.